Wine importer Mariano Cebrián speaks on the importance of slowing down & savoring what’s good around you. Mariano Cebrián is the sole owner and operator of Panoram Imports, founded in 2010. Mariano specializes in sourcing wines from family-owned vineyards. Growing up around some of the highest elevation wine estates in the world certainly played a role into his career choice. Having visited many wineries and tasted all kinds of wines, he found the perfect ones that would be unique to the U.S. market. Mariano received his certification as a wine professional from the Society of Wine Educators in 2015. 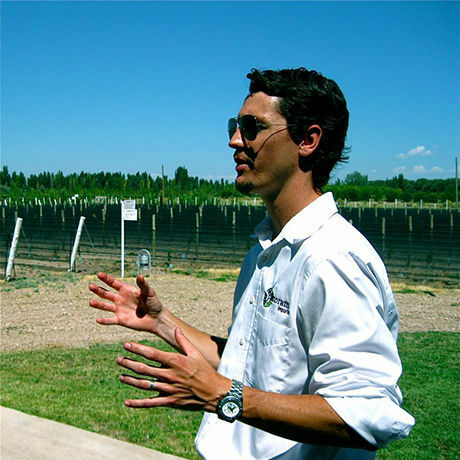 A native Argentine from the province of Salta, Mariano is able to provide an Argentine experience at wine tasting events and dinners. Mariano’s latest endeavor consists of a premium catering experience based on slowing down and enjoying Argentine grilled delicacies. The “Argentine Asado Experience” is a natural extension for Panoram, and presents the Argentine food & wine culture with passion and a deep sense of family, community and tradition. Upon requests from customers, Wine Tours to Argentina are set to start in 2018, which will feature a personal, guided culinary tour of Argentina’s beautiful landscapes, vineyards, and iconic cities. Before moving to the USA for college, Mariano traveled around Europe as a tennis professional for two years. He then received his bachelors and later his master’s degree at Georgia College & State University. He worked as the tennis assistant coach while studying for his MBA, and to this day still provides instruction to tennis enthusiasts of all ages; offering private lessons on the weekends.